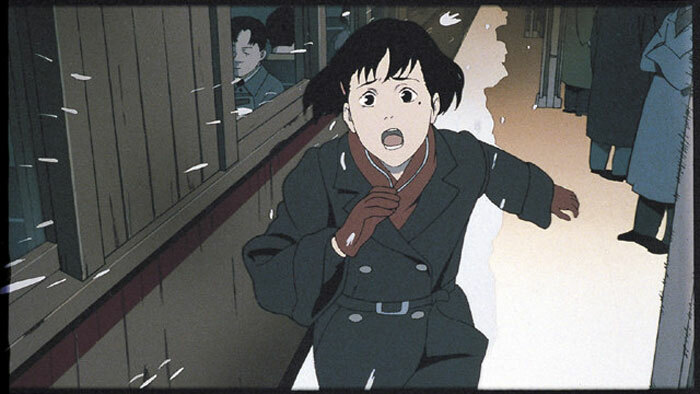 Millennium Actress is an 87 minute movie, the second, from Director Satoshi Kon and Studio Madhouse, was written by Kon and Sadayuki Murai. 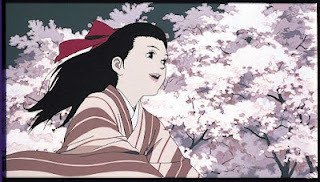 It originally premiered in 2001 at the Fantasia International Film Festivel, and then came home to Japan and was released in September 2002. The DVD is distributed in America by DreamWorks. 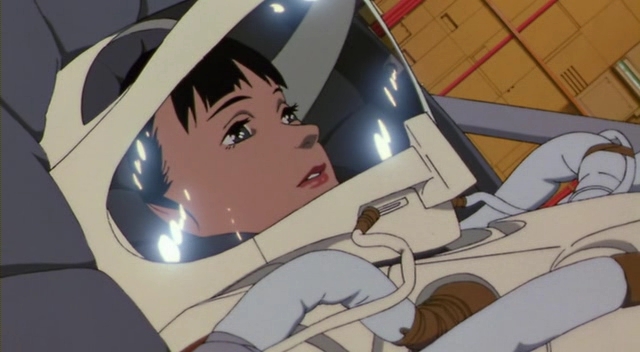 This movie had the same budget as Perfect Blue? It looks amazing! Granted it’s a 2001 movie, but for a 2001 movie it’s really beautiful. From the character designs to setting, the production team took EVERY opportunity to make this film look stunning! With Kon having a lot of artistic control over this film, you can tell he wanted everything just right. Speaking of artistic control, Kon not only shines as a Director, but also as a Writer. He wrote the Original Story and assisted with the screenplay with Murai. This helped give Kon the chance to keep his story intact and also be able to show the audience what he personally wanted them to see. The main part of the story is about first love as well as lost love. Because of a man she met as a teenager, Chiyoko becomes obsessed in trying to find him in order to return something of his, a key. What the key goes to, we don’t know. All we do know is that it’s for something very important. A few different interpretations can probably be said for the meaning of that key. Love. Life. Freedom. There could be any numbers of meanings to the key’s symbolism, and it’s up to the viewer to decide which one it is. Personally, I believed it was Clarity. Because, in the end, she realized something about the man she met when she was younger through her memories (I don’t wanna spoil it. Just watch the film). What makes the story even more interesting, is that these memories are being played out in a mix of her real life, AND all the films she has starred in. At one point, an “old witch” places a Thousand Year Curse on Chiyoko. This later comes back to you by the end of the film when you realize that she had starred in movies with a 1000 years worth of time periods. Overall, the story was amazing!! There aren’t a lot of major characters in this film. You have Chiyoko, Genya, and Kyoji as our three leads. Then there are just reoccurring characters like the Man with the Key, Scarface, Eiko, and Otaki. There are still a few more characters, but they don’t show up much. As for character development, there is, pretty much, zero in this film. And I am totally fine with that! This story isn’t about people developing in real time, it’s the story of an elderly woman recounting her days as an actress and trying to find her first love once more. So, in this regard, development isn’t all that important. Aside from this, it’s more about the journey then really well developed characters. "I must go to him"
The DVD I bought only had the Japanese dub on it, though there is an English dub. But I’ve heard that the English dub isn’t all that great, so we aren’t gonna talk about that anymore. As for the Japanese version, the cast is wonderful! With voice talents like Shozo Iizuka as Genya, Masaya Onosaka as Kyoji, and the THREE voice actresses as Chiyoko. Fumiko Orikasa, Mami Koyama, and Miyoko Shoji are each phenomenal as Chiyoko through the years, bringing out different sides of the character as the story progresses. Other voice talents include Kouichi Yamadera, Masane Tsukayama, and Shoko Tsuda. The entire cast is just so real and helps draw the viewer into this not so real world by each actor’s portrayal. 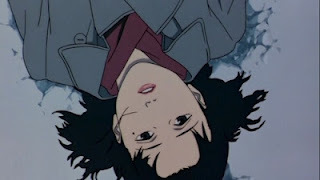 Out of the 3 Kon movies I have seen since starting Kon Movie month (I had seen Paprika previously), this movie is my favorite by far. 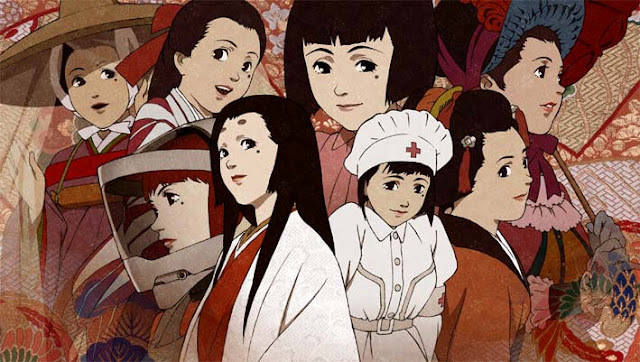 It has all the typical elements of Satoshi Kon’s work, but makes for a more grounded story then Perfect Blue, Paprika, or even Paranoia Agent. It’s real, it’s playful, it’s touching, and it’s a wonderful piece of film that Kon delivered to the world and is surely the shining star of his amazing legacy. By the end of the interview, Millennium Actress is a stunning film set with realism mixed with slight delusion, but it’s such a heart warming film that you can’t escape the occasional feeling of butterflies in your stomach.... Or is that just me? Any who, this is certainly Satoshi Kon at his best, so if it comes your way, grab it fast! 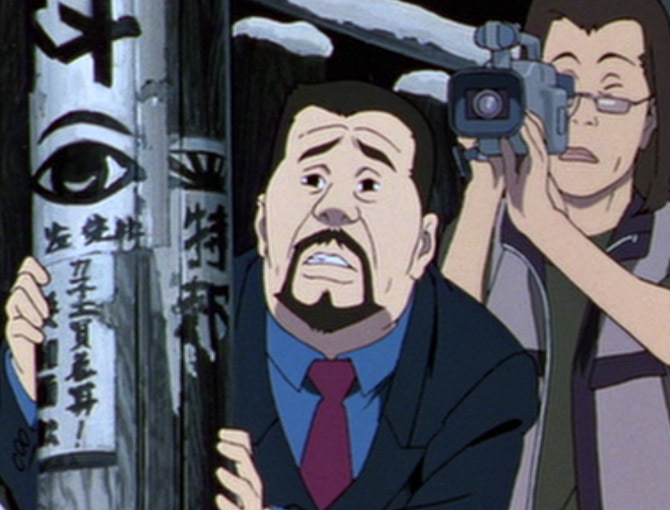 We’re half way through Satoshi Kon Movie Month. Next week, Christmas comes early to Lilac Anime Reviews, curtsey of the only film to keep the sanity of everyone intact. Until next time, otaku on my friends! On Bonus Bitcoin Faucet you may earn free satoshis. 300 to 5,000 satoshis per 15 minutes. Did you think about choosing the ultimate Bitcoin exchange company: YoBit. I had a long weekend in the last month and that was all screwed up and I was not able to watch any movie or show because of some uncertainty at home. Again, I am going to have a long weekend but this time I want to enjoy it to the fullest and have already created my watch list that is full of family friendly movies and shows by Andy Yeatman. Can’t wait!